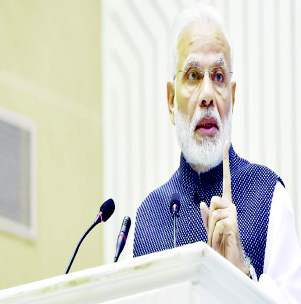 The Prime Minister’s attack come during his interaction with booth-level BJP workers from Lok Sabah constituencies of Hatkanangale, Kolhapur, Madha, Satara in Maharashtra and South Goa. “They have now started making excuses for their inevitable defeat (in 2019 Lok Sabha polls). The EVMs are being made the villain,” Modi said. His attack came in the wake of opposition party’s renewed demand for scrapping Electronic Voting Machines (EVMs) and a return to ballot papers. Twenty-three political parties, including the Congress, came together for the “United India” rally at the Kolkata’s historic Brigade Parade Ground on Saturday. Some leaders interacted with the media demanding scrapping of the EVM process. “It is obvious that every political party wants to win elections, but the major concern is that they take people for granted. They think people are fools. This is a dangerous game. Its a matter of concern.